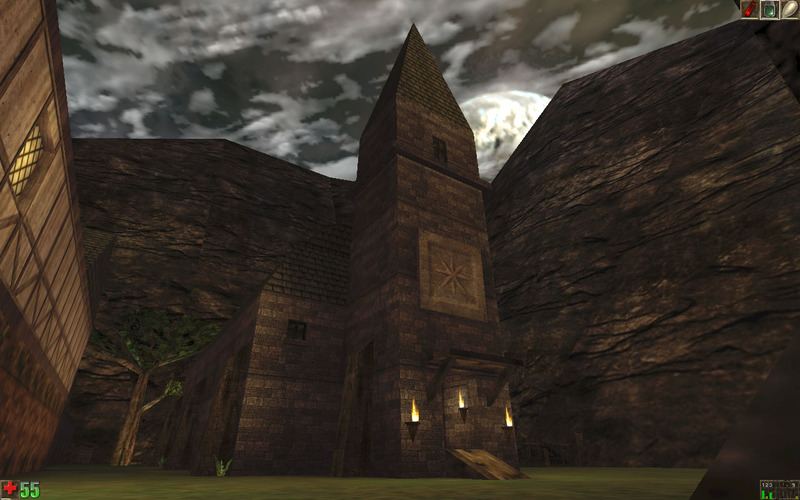 The Thrall Village is a controversial single player campaign by Daniel Norton featuring four short maps. 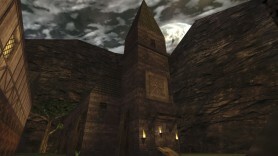 The controversial nature comes from the author’s arguable statement in the readme file that geometry (brushes) from other maps are OK to re-use the same way mappers re-use the game’s original texture packages and actors. Indeed, we can recognise some familiar geometry (even entire buildings) from Unreal which were taken from the original maps completely unchanged, such as a windmill and a church. On the other hand, the author clearly states that he takes no credit for these elements. Still his argument could easily sound like the lazy mapper’s excuse, or those who can’t build proper geometry themselves. This introduction may sound harsh, but the reality is that The Thrall Village is not a terrible experience. Far from a good pack, with many minor and major errors such as getting stuck on geometry in badly designed narrow spaces, or the very basic escape story and absolutely unsurprising gameplay, but the author clearly did not use UnrealEd as a complete beginner. The ending could even be called spectacular if it wasn’t for the low quality spaceship model that was used. There are many other clear signs throughout the pack that it is not a beginner’s work apart from the apparent inability to create original and eye-catching geometry. Perhaps the best example of bad design throughout the map pack is the ugly skybox with obvious texturing issues. That said, it is far from the worst Unreal campaign you can play and if you are an enthusiast it may well worth a romp. This is the auto-generated forum topic dedicated to The Thrall Village.